After long last, we're ready to start announcing the talented winners of our Neil Cowley Trio #SpaceboundApesCompetition! We'll be announcing the winners gradually throughout this week, with our grand prize winner revealed on Friday, 21 October! In celebration of the release of Neil Cowley Trio's latest album on Sheet Music Direct, we asked talented musicians around the world to submit videos of their musical interpretations of Neil Cowley Trio's, “The City And The Stars." The grand prize? 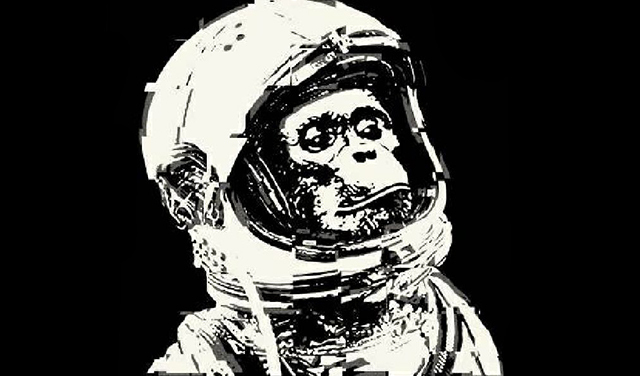 An awesome Spacebound Apes prize bundle, including tickets to a Neil Cowley Trio show and a meeting with the band. Over the course of the month-long contest, we received some fantastic entries. At the end, Neil Cowley himself reviewed each entry to determine our winners! We're excited to reveal the Grand Prize Winner of the 2016 Spacebound Apes Competition! Here's Neil one last time with the big announcement and a message to all our participants. Congratulations to our Grand Prize Winner, Jonathan Hugh! Watch Jonathan's grand prize-winning entry below. Neil Cowley is back to announce our runner-up. Congratulations to our 2nd place winner, Gary Franklin! Here's Neil Cowley to announce and congratulate our 3rd place winner. Congratulations to our 3rd place winner, Will Cruttenden! Watch Will's winning entry below. Neil Cowley Trio's album, "Spacebound Apes", is out now. You can download it on iTunes and download the sheet music on Sheet Music Direct. We also encourage you to explore the awesome interactive album website at www.spaceboundapes.com.